Create elegance and luxury without sacrificing space with this classic oval combination bathtub. Relax in comfort with its curved lumbar backrest and enjoy the ultimate in relaxation through the combined sensations of gentle effervescence and targeted massage. Soak up to your chin in its 18-inch depth and bathe without feeling confined in its extra wide 38-inch span, all the while accommodating a tight space with its 56-inch length. 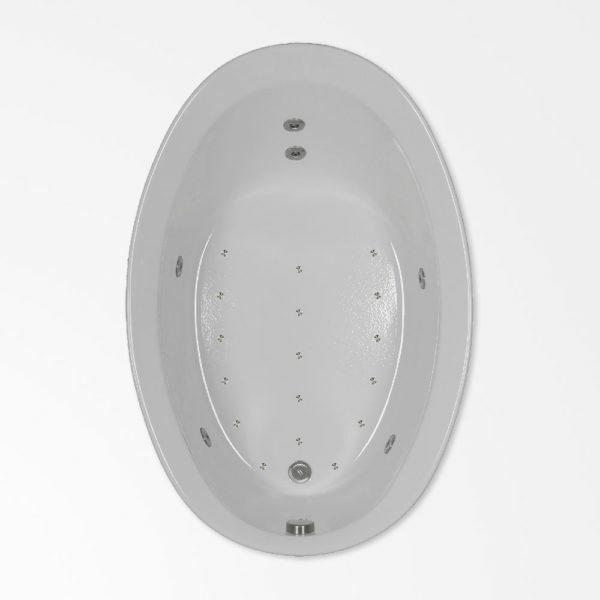 Enjoy all the benefits of a therapeutic, luxurious bathing experience and classic design in your small space with this oval tub.